Pipe locating services in Los Angeles. The development, and use of non-metallic materials (PVC, A/C, HDPE) for utility mains and services has fueled the expansion of utility systems across the globe. With such large quantities of non-metallic mains & services in this country with no locator wire, completing the mission will be an almost impossible task. But with Miracle Rooter you won’t have that problem of locating your sewer for Los Angeles Trenchless Sewer Replacement or any other utlities. 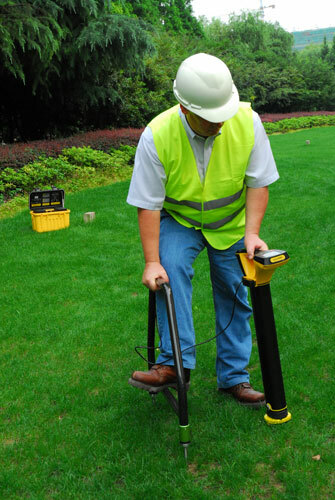 We use the latest technology pipe and utility locating equipment that we can locate any utility lines. When you call Miracle Rooter Plumbing for your clogged sewer, once we unclogg the sewer, we will inspect the sewer line with our sewer video inspection camera and if repairs are needed, then we identify the cause of the blockage, we mark the spot and properly locate the pipe BEFORE we begin the work. We locate the location and depth of the pipe we are excavating. We are State Licensed Plumbers with a 100% Satisfaction Guarantee! Miracle Rooter Plumbing takes the guesswork out of sewer repairs with special video cameras that look inside pipes from 3″ to 36″ in diameter. We can pinpoint your sewer problem in los angeles and recommend the most cost-effective solution for you. Our high resolution cameras record grease buildup, leaks,broken pipe and obstructions. 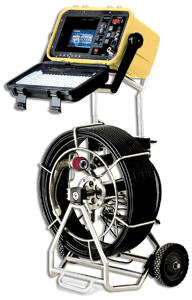 This video inspection camera allows us to determine whether to dig, clean or reline the pipe. We will save you time and money by quickly solving the problem and bringing in the right equipment for the job. And you can schedule your appointment for any time that’s convenient for you.